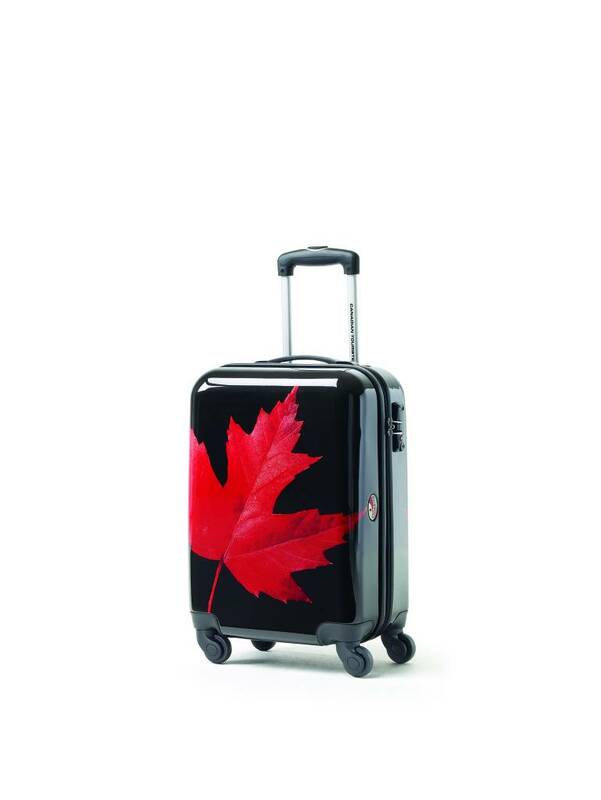 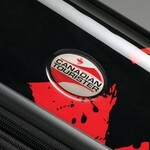 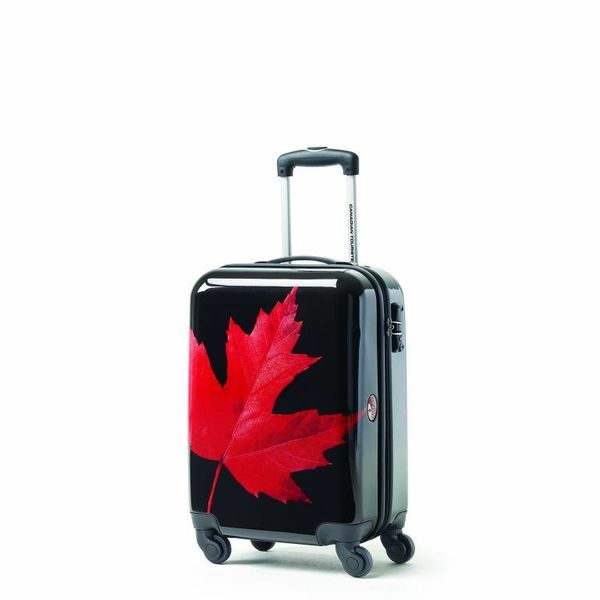 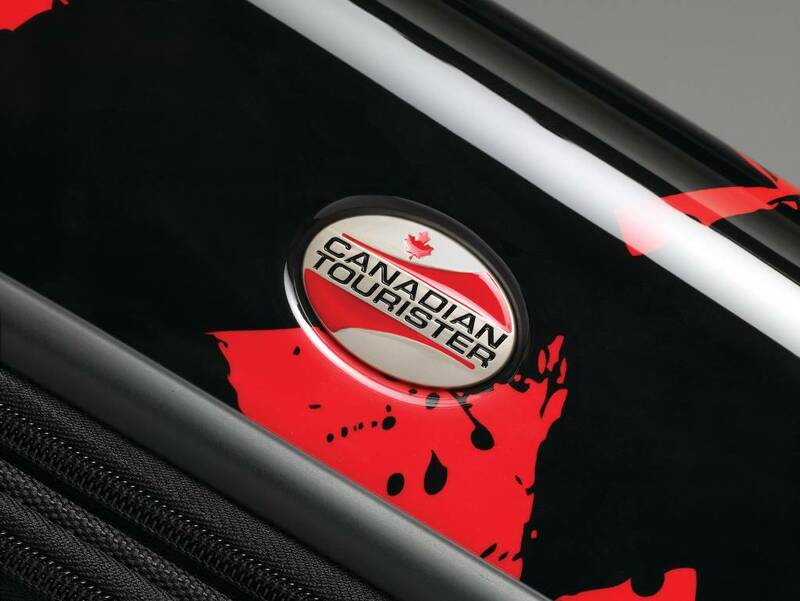 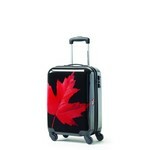 Brought to you by Samsonite, Canadian Tourister's bold Maple Leaf Carry-On Spinner (74916-5315) offers durability & quality while showing off your Canadian pride with style. 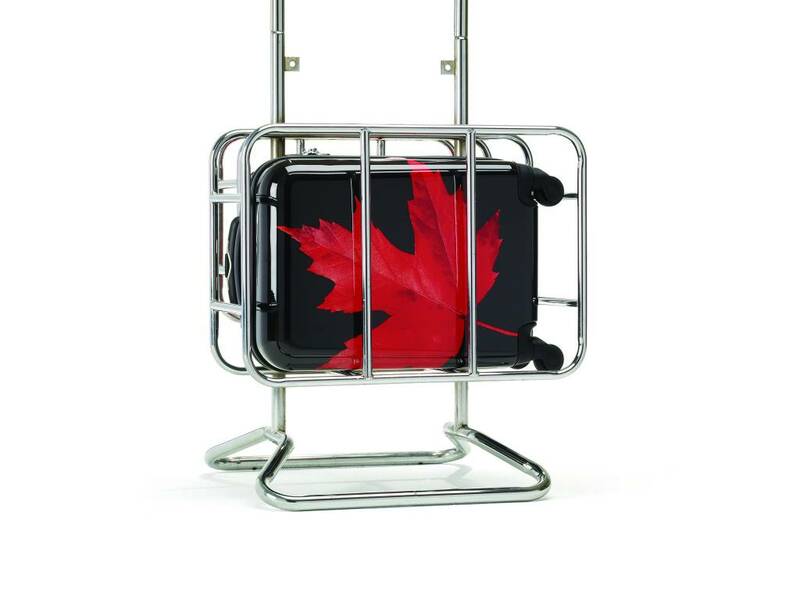 Canadian-themed pattern displays great Canadian pride. 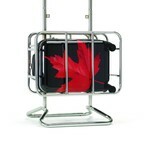 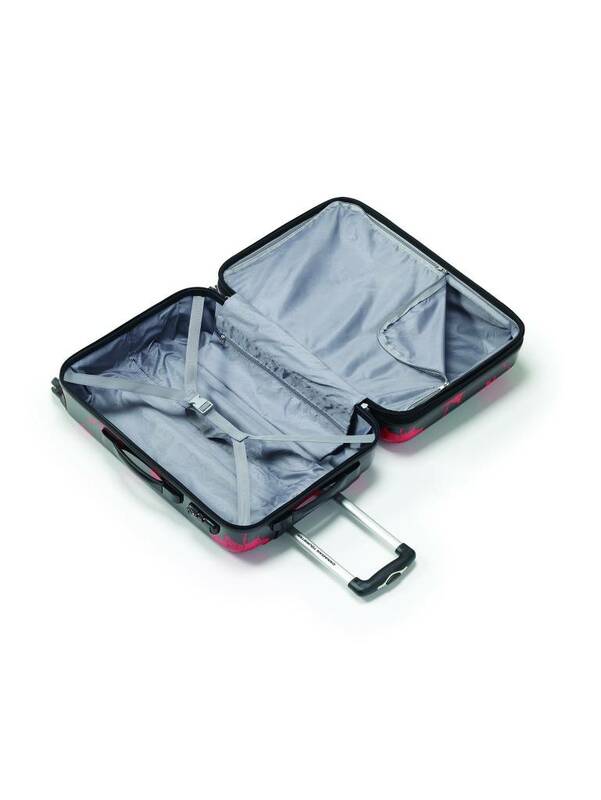 Hardside constructed with ABS/PC - Luggage is made from a vacuum-formed or pressure-formed shell. 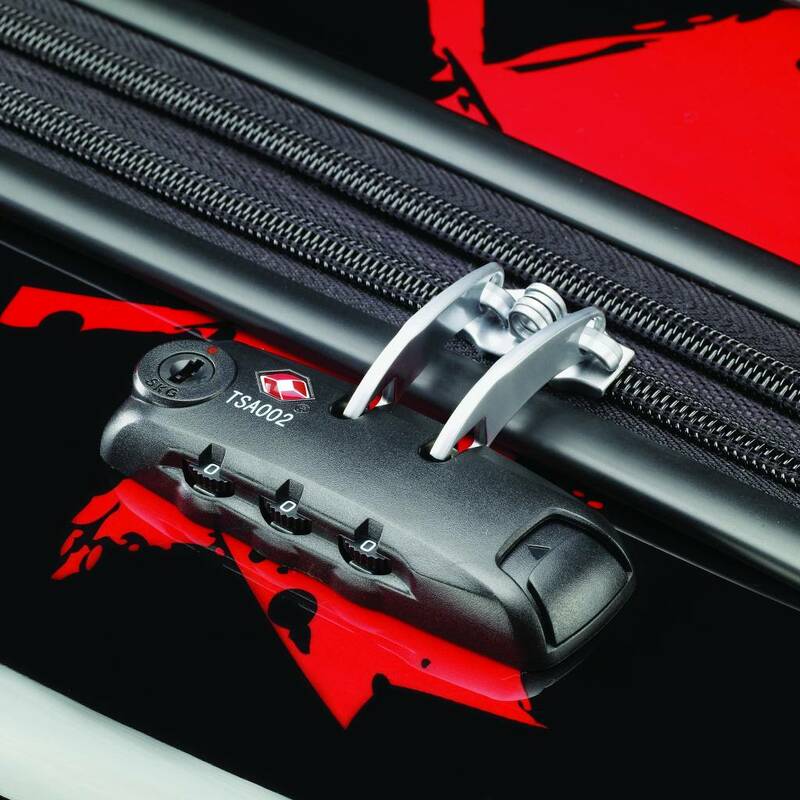 Strong ABS plastic, a temperature-resistant, highly impact-resistant material, is combined with a textured finish for the classic hardside look. 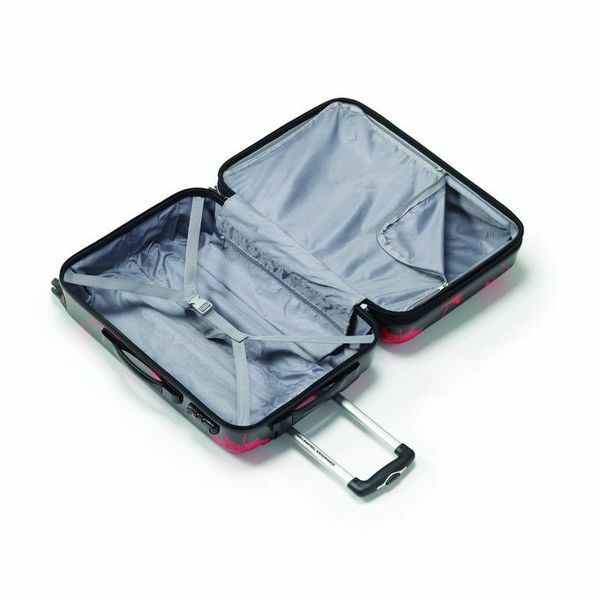 Full-lined interior with zippered compartment and compression straps to minimize shifting of contents. 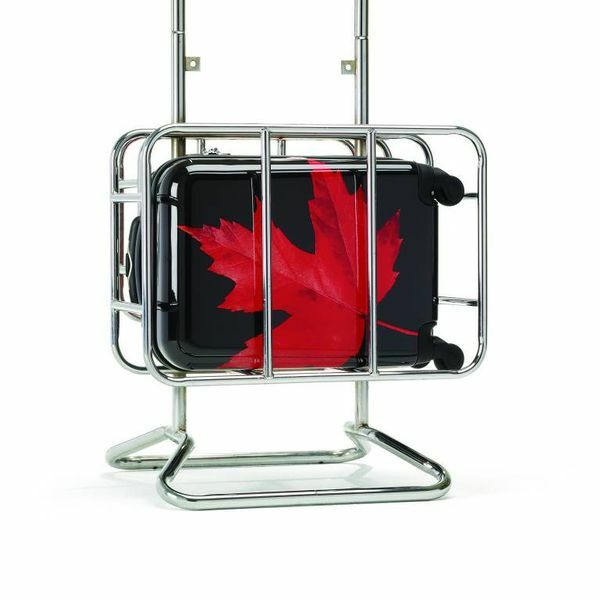 Retractable top and side carry handles provide comfort when lifting a fully packed case. Body Dimensions: 19.0" x 14.0" x 8.75"